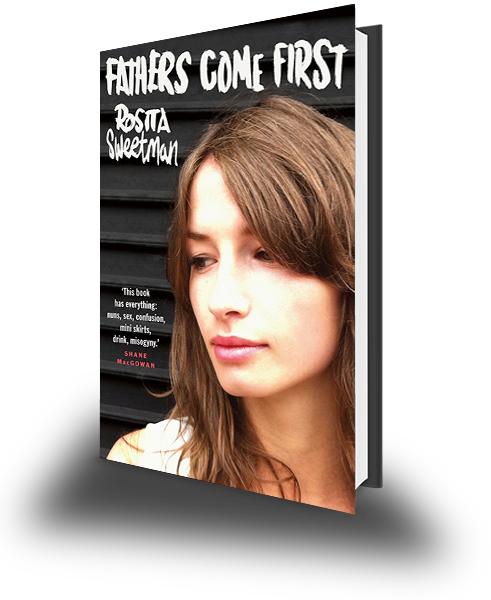 Rosita Sweeman’s Fathers Come First is a coming-of-age classic set against a Dublin-city backdrop. Elizabeth is both gauche and perspicacious, walking the edge of her stereotypes while hobbled by the pressures of acceptance – social, physical and sexual. In a world informed by a Catholic upbringing, she wonders whether her indiscretions belong in the letterbox or the confession box. Curious, unflinching and disarmingly honest, teenager turned twenty-something Lizzie speaks to the changes and continuities in Irish society across forty years. It is a novel as relevant today as when it was first published. Read this coming-of-age classic again! Get it on Kindle, Hardback or Paperpack. Curious, unflinching and disarmingly honest, teenager turned twenty-something Lizzie speaks to the changes and continuities in Irish society across forty years. It is a novel as relevant today as when it was first published. Rosita Sweetman is a Dublin-based writer and journalist, was one of Ireland’s earliest and most achieved feminists. She is author of the pioneering ‘On Our Knees': Ireland 1972, twenty-four profiles of Irish people north and south, and On Our Backs (1979), profiles and interviews that charted the changing mores of last quarter of twentieth century Ireland. Her bestselling Fathers Come First was originally published in 1974. It appears here with an Afterword for a new generation of reads.